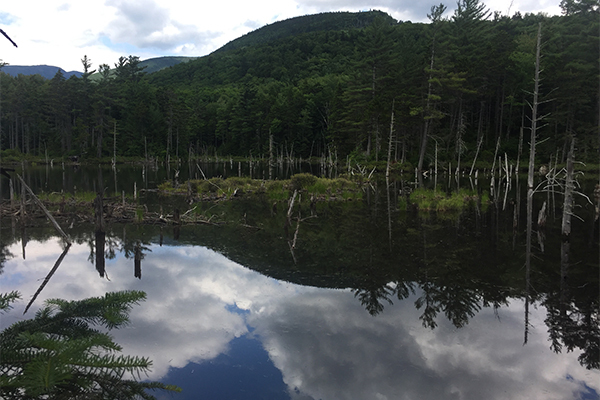 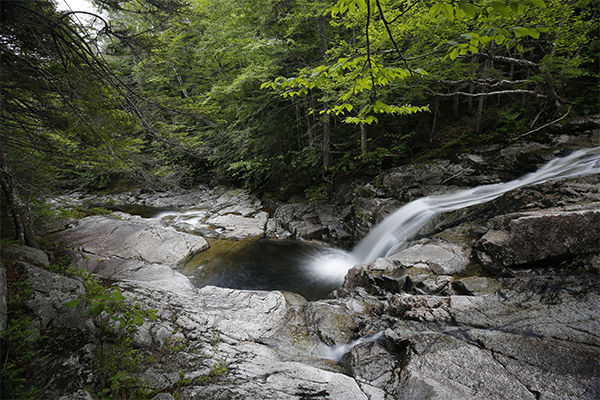 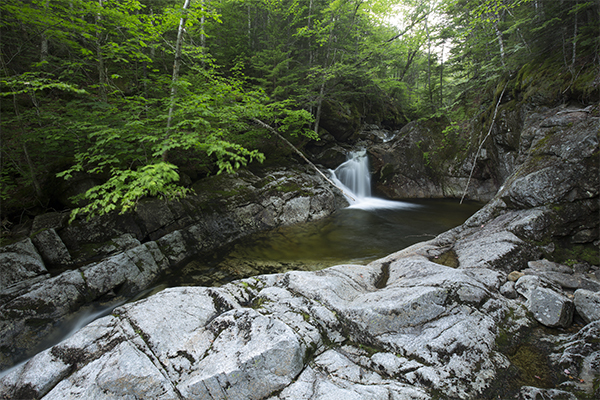 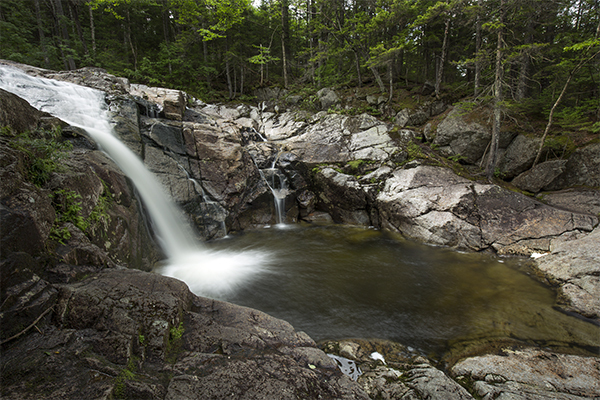 For a taste of true backcountry falls, opt to wander deep into the Pemigewasset Wilderness, where you will find Thirteen Falls, a mix of cascades and pools in one of the most remote locations in the White Mountain National Forest. 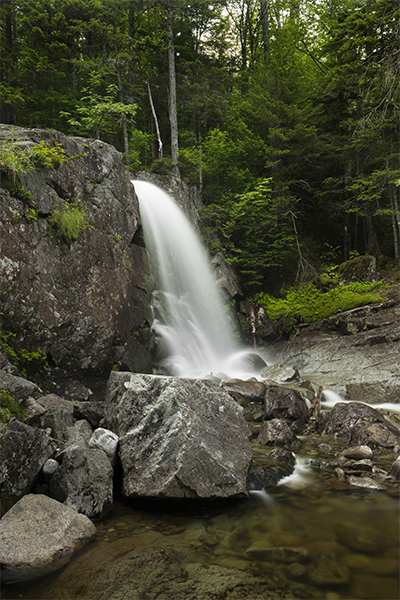 Five notable waterfalls exist here, ranging in height from 5 feet to 20 feet tall. 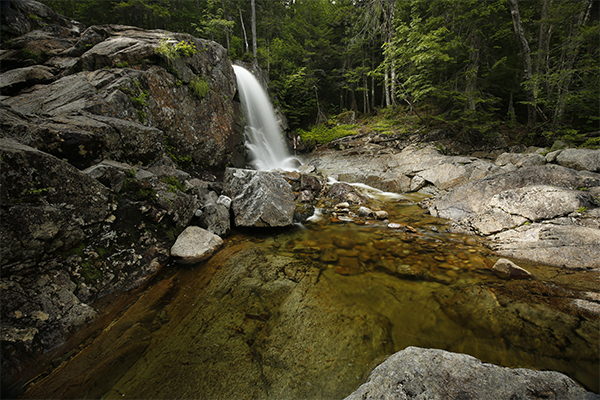 No one particular falls is extraordinary, but as a whole, these wild and secluded gems will surely please all. 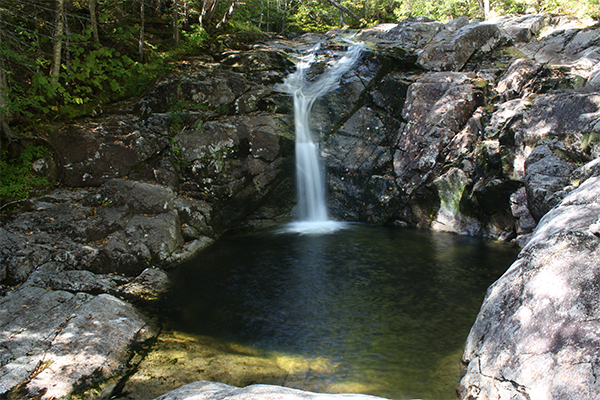 All but the third falls have fine pools below them, although all are typically quite chilly. 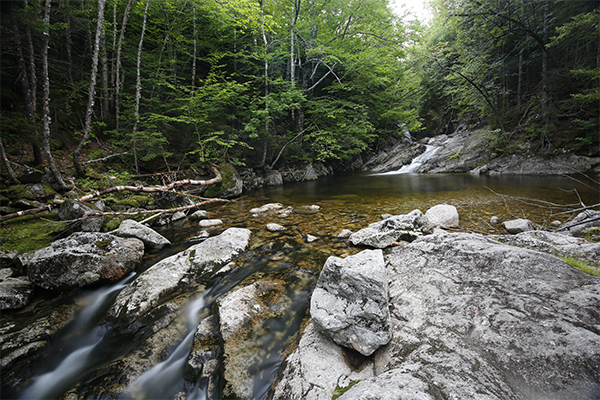 An 80-plus degree day in July or August is what most people will need to convince them to jump on in. 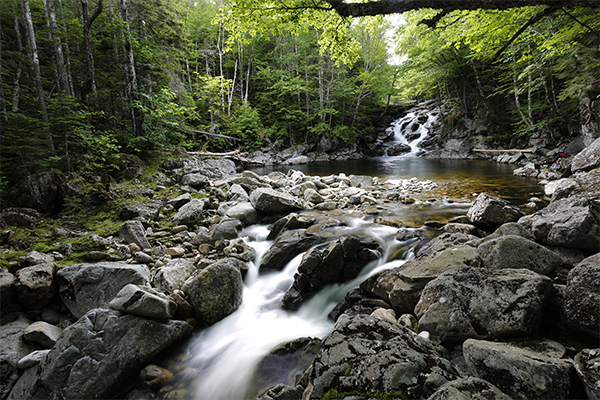 If you are lucky enough to be here on such a day, you will likely forever cherish the moments spent. 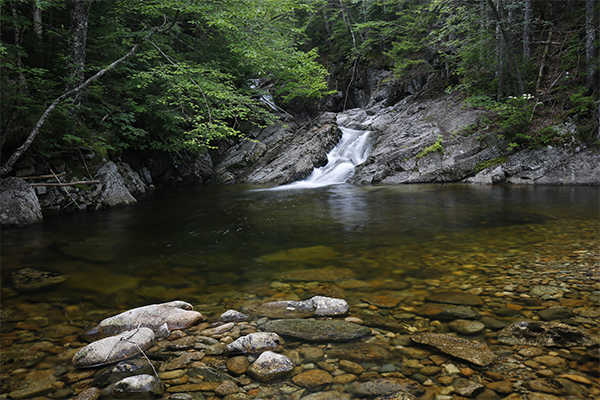 The large, lower pool found at the fifth falls typically has a gentle current and it has a relatively easy entrance and exit point; it is the most family-friendly of all pools here. 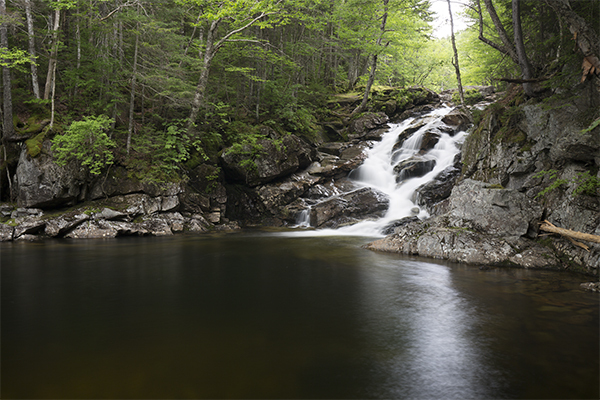 The pool below the second falls can be dangerous in moderate or high water. 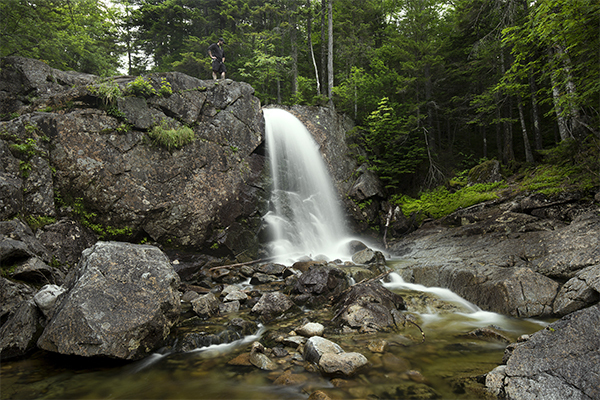 The falls are commonly overlooked by hikers passing through who are continuing onto, or returning from, one or several of the many 4000-foot mountains that surround the wilderness area. The falls deserve far more attention than this. 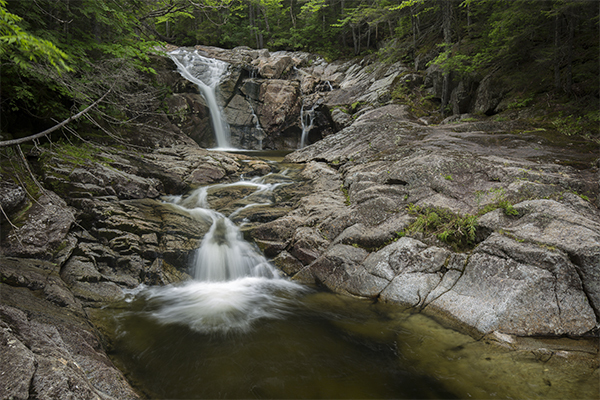 Photographers will thoroughly enjoy shooting the major falls and all the small cascades and slides between them. 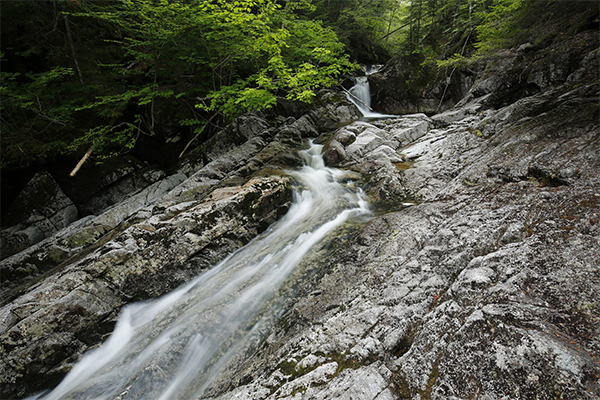 At a minimum, plan on an hour or two of tramping your way up and downstream to view and perhaps photograph all five of the waterfalls. 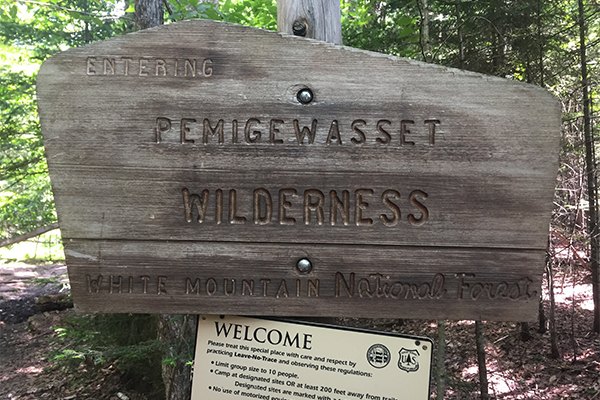 Visiting Thirteen Falls is tiresome on your feet; the total round trip hike, at 16.0 miles, is the longest hike described in this guide. 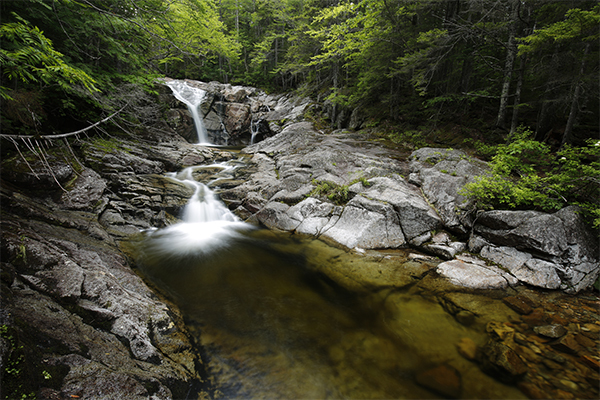 Allot about 10-14 hours, depending upon your pace and endurance, for this remote adventure. 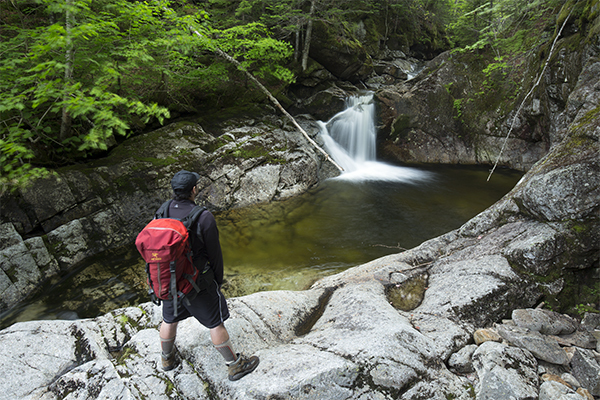 An alternative to day hiking is to backpack to one of the nine hardened tent pads at the nearby 13 Falls Tentsite (which is historically called Camp 13). 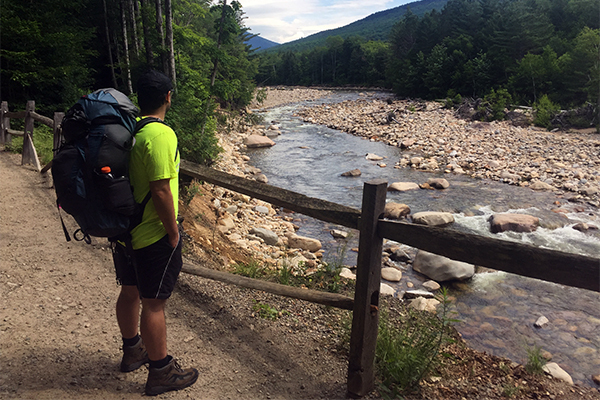 These campsites are first-come, first-serve and the cost per night in 2017 was $10.00 per person, per night. 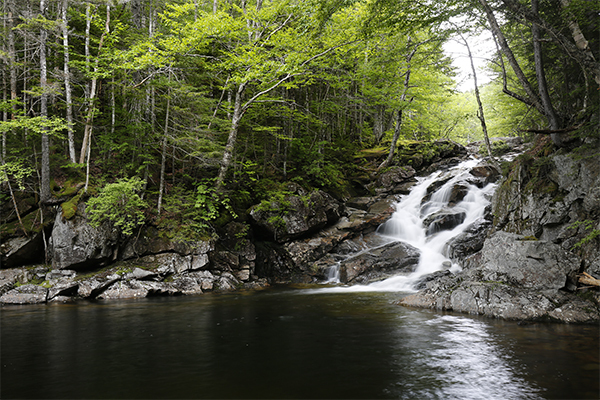 More detailed information about tenting at this location can be found on the website of the Appalachian Mountain Club: www.outdoors.org.